Modern fundraisers are bombarded with marketing messages, sales pitches, and ideas for new fundraising strategies. I don’t know about you, but I sometimes feel overwhelmed by the sheer volume of possibilities, tactics, and products available to non-profit development teams. When I first became a Development Director, I was shocked by the number of letters, e-mails and calls I got on a weekly basis pitching new technologies, databases and fundraising products. I was also inundated with information on fundraising strategies. Between all of the publications the organization subscribed to, the newsletters and magazines I personally received, and the ideas presented by staff members, board members, consultants and at seminars… I was overwhelmed. When people become overwhelmed, they do one of two things. Some people freeze up, and get analysis paralysis. The sheer number of choices available to them prevents them from making any choice at all. I was not one of those people. Some people, when they are overwhelmed with choices, try to do them all (or as many as humanely possible). That’s what I did – jump from one fundraising strategy to the next… implementing one new technology after the other… until, tired and exhausted, I realized we simply couldn’t do everything. And nor should we, since not every tactic or product we tried worked as well the others. It’s easy to fall into the trap of constantly trying the “shiny new fundraising thing” that’s out there. Whether it’s a new mobile-giving app, a free crowdfunding site, a new idea for your development communications… they all offer the promise of new revenue to support your organization’s mission and vision. As fundraisers, we want the best for the non-profits we work with, because we care about the people our organizations serve. Add to that the fact that most development offices are understaffed and under-resourced, and you can see why it’s possible for fundraisers to try every new thing in search of new fundraising dollars. Sadly, as I found out the hard way, chasing the shiny new thing doesn’t lead to fundraising success. It leads to confusion, exhaustion and burnout. Clearly, there has to be a better way. Many products or strategies that are new (or new to you) will work for your non-profit. So you can’t stick your head in the sand. But you also can’t chase after every idea that comes across your desk. First, you need to take a breather. If you’ve been chasing every new fundraising strategy and technology out there, now is the time to hit the pause button. Stop implementing anything new, stop reading ads in fundraising magazines looking for new products or books or ideas. Instead, take inventory of all of the fundraising ideas and technologies you have pursued to date. Compile some hard data. Find out what has worked, and what hasn’t worked. Do you see any patterns? Have new individual fundraising programs been working for you, but not crowdfunding? 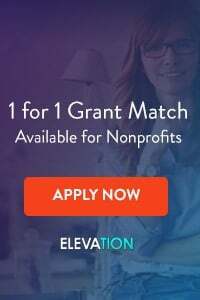 Did that mobile giving app you purchased knock your fundraising out of the park, while your new focus on grants didn’t go anywhere? What can you learn from your hits and missed that can help you make better plans going forward? Once you have taken stock of your fundraising, it’s time to develop a plan. This could mean writing your organization’s first fundraising plan, or simply revising the plan you already have based on what you have learned. As you plan your fundraising activities, it is very important to focus on the basics. Remember, for 99% of non-profits, most of your money should be coming from individual donors. Those donors require personal communication, with major donors receiving in-person visits and asks from your fundraising team. 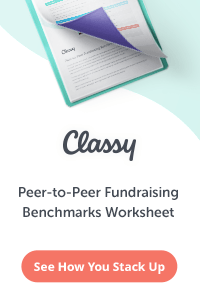 If you’re not out doing fundraising meetings, you shouldn’t be launching a crowdfunding campaign. Cover the basics first, before you expand your horizons. To learn more about covering the basics before moving on to more advanced strategies, read Why Isn’t Our Organization Raising More Money? That being said, if you are covering the basics, I encourage you to include one or two new and innovative fundraising strategies into your plan for the coming year. Your non-profit shouldn’t stagnate, and testing new tactics and products is a great way to reach new audiences and develop new revenue streams. The key though is to select one or two new ideas for the year and stick with them. That means that when you find other new ideas or products over the course of the year, you say “no.” You can’t possibly implement five, six, or ten new ideas in a year successfully… so chose one or two to focus on, put them in your plan, and stick with them. Once you have your plan (including your one or two new ideas or products), stay focused in pursuing your plan. Don’t get side tracked. Don’t chase after any other shiny new things – you already have your one or two new things for the year. Focus on doing them well. Then, at the end of the year, review the ideas you picked to see how well they worked. If they were successful, keep them. If not, discard them and try something else in the following year. Don’t get caught up in the chase for new fundraising dollars… carefully consider your options, make a plan, then relentlessly pursue it on behalf of your non-profit organization. Can Stronger Systems Make You a Better Fundraiser? 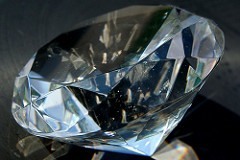 Are You Using the Hierarchy of Fundraising Asks? 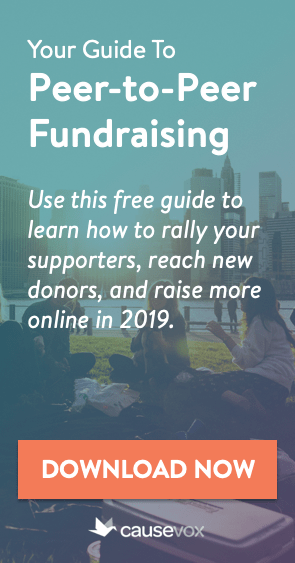 Sign up for The Fundraising Authority Newsletter, and get your free copy of How to Hold Great Fundraising Events: A Step by Step Guide. This 10 page special report will guide you through the entire process of running a profitable fundraising event for your organization. Click here to get your free copy today! The Fundraising Authority content and design © 2016 by The Fundraising Authority LLC. All rights reserved.